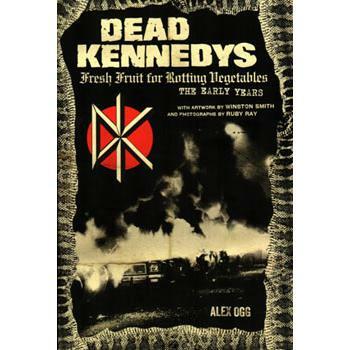 Despite releasing records only on independent labels and receiving virtually no radio play, Dead Kennedys routinely top both critic and fan polls as the greatest punk band of the late 1970s and early 1980s. Their sound was inventive and tetchy, and front man Jello Biafra’s lyrics were incisive and often scathing. This chronicle uses dozens of firsthand interviews, photos, and original artwork to offer a new perspective on a group that was mired in controversy almost from its inception. It examines and applauds the band’s key role in transforming punk rhetoric, both polemical and musical, into something genuinely threatening and enormously funny. Author Alex Ogg puts the local and global trajectory of punk into context and, while not flinching from the wildly differing takes the individual band members have on the evolution of the band, attempts to be celebratory—if not uncritical.